1) Dallas Cowboys- (11-5) – Once again this year the talent on the roster jumps off the page at you, but even though this team was able to win its fist playoff game since 1996 last season, it still fails to meet expectations on a yearly basis. Tony Romo is a very good regular season quarterback and with Miles Austin, Roy Williams, Dez Bryant, and tight end Jason Witten, Romo should be able to put up big numbers once again. The Cowboys also have a tremendous stable of running back with Felix Jones taking over a starter and Marion Barber in the backup role. Both backs are fantastic runners but have had injury problems, but even if they go down Tashard Choice is a very capable back. The offensive line has looked shaky in the preseason and the first team offense did struggle to put up points, but they should be okay in the regular season. 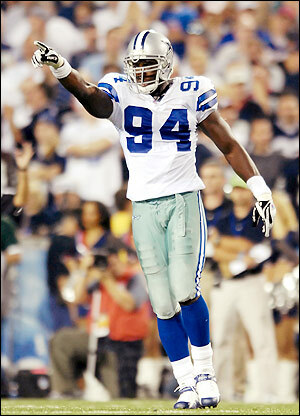 The Dallas Cowboys defense will also once again be outstanding behind Demarcus Ware and will be at the top of the league in total defense by the end of the year. 2) Washington Redskins- (10-6) – The offseason has been an absolute soap opera between Albert Haynesworth and Mike Shanahan, but come game one these guys are going to have to put their differences aside for winning games. 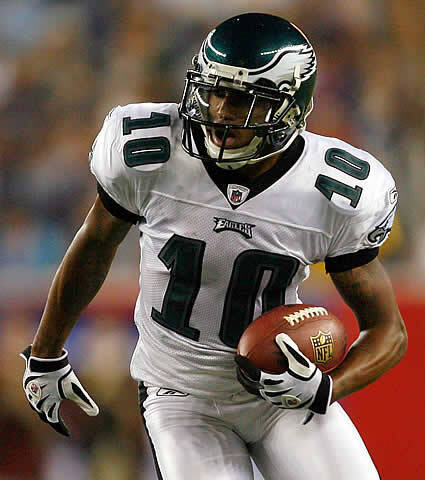 But the biggest move for the Redskins was getting Donavan McNabb from the Eagles. He is the best QB in Washington by far since Doug Williams, and while many people like to point out that the Redskins don’t have great receivers… well neither did the Eagles for the majority of Donovan’s career. 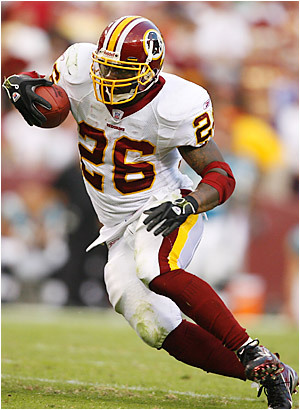 Also unlike his time in the Eagles the Redskins with Shanahan should be able to put together a real running game behind Clinton Portis and backup Larry Johnson. With an offense and defense that will both be in the top half of the division the Redskins will be in the playoff hunt going into the final week of the season. 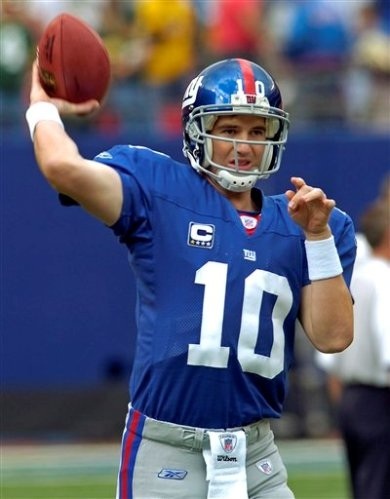 3) New York Giants- (8-8) – I don’t know why I dislike the Giants and Eli Manning, but there is just something about them that I do not like. The Giants have a very good quartet of receivers in Steve Smith, Hakeem Hicks, Domenik Hixon, and Mario Manningham, and two very good safeties in Kenny Philips and Antrel Rolle (both from The U). However the Giants have are very thin at linebackers and Brandon Jacobs and Amahd Bradshaw have not been the same runners since the Super Bowl run in 2007. What maybe the difference between finishing third in the division and possibly competing for the division crown is wether or not the defensive line can stay healthy. Chris Canty, Justin Tuck, Osi Uemenyiora, Mathis Kiwanuka and rookie Jean Pierre-Paul are all outstanding players, but they also have had history of injuries. If they can also stay off the injury list than the Giants may actually be the team to really look out for this season. 4) Philadelphia Eagles- (7-9) – Some team needs to finish last in the division and that team might as well be the Eagles, after all in a division filled with solid defenses and experienced quarterback the Eagles are starting a quarterback who has only started 3 games and has the worst has arguably the worst defense in the east. The Eagles have three guys who are trying plug the whole left by Brian Dawkins at safety and the have by far the worst pass rush between Washington, Dallas, New York, and Philly. TE Brent Celek, WR DeSean Jackson and Jeremy Maclin are all great receivers who should help Kevin Kolb ease into the position but still even the best quarterbacks have some sown moments in their first year as a starter. This entry was posted in Sports-NFL and tagged Dallas Cowboys, New York Giants, NFC East, NFL, Philadelphia Eagles, Sports, Washington Redskins. Bookmark the permalink.